Welcome to Sneak Peek, our weekly lookahead for both ends of Pennsylvania Avenue, plus my best scoops. I'm in Helsinki for President Trump's first one-on-one summit with Vladimir Putin, on Monday. Situational awareness: In the skies over Europe, Trump tweeted congratulations to Putin for hosting a "truly great" World Cup. Trump also tweeted yet another slur against the press: "Much of our news media is indeed the enemy of the people..."
D.C. readers — On Tuesday, join Axios' Mike Allen in kicking off the Axios360 Hometown Tour. He'll discuss how trade and Washington's economic policies are affecting America's communities with Secretary of Agriculture Sonny Perdue, former US Trade Rep. Ron Kirk, Chattanooga Mayor Andy Berke, and Agriculture Committee Chair Rep. Mike Conaway. RSVP here. The tour continues this summer and fall with stops in Savannah, Ga., Denver, Colo., and Los Angeles, Calif. Stay in the loop. At the time, former CIA Director Michael Hayden said on CNN that "one of the stunning aspects" of the demonstration video was that the Russians "would actually use an absolutely recognizable part of the United States to show where the targeting was." 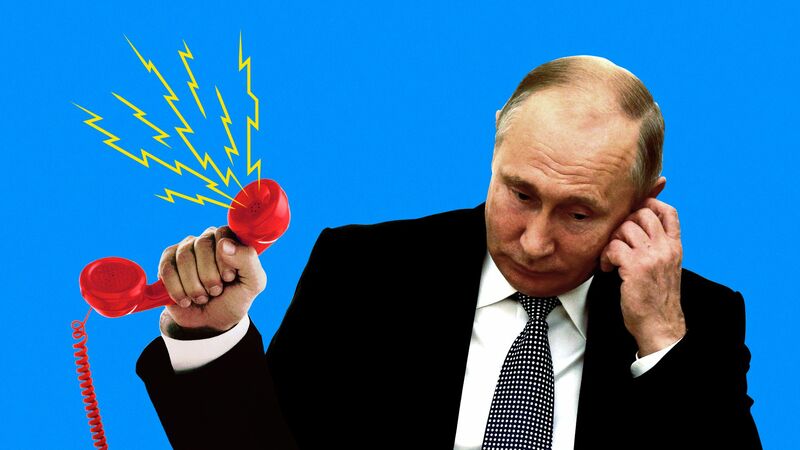 I asked the source what Putin says to Trump during these calls. "Oh, things like 'the economy's so strong' or 'you're doing a great job' or 'I saw whatever happened on the news recently and you handled it so well'," the source recalled. "The president loves that stuff." When I asked President Trump on Friday what were the three or four things he wanted to achieve from his meeting with Putin, his answers contained no detail. But one little riff stuck out. He said: "I think... that would be a tremendous achievement if we could do something on nuclear proliferation." A former senior administration official who discussed nuclear weapons with Trump said the president speaks in generalities, commenting wistfully about how wonderful it would be to rid the world of nuclear weapons. And a source with direct knowledge of Trump's private conversations with British Prime Minister Theresa May told me Trump mentioned nuclear weapons a fair bit last week, but only in general terms, saying he'd raise the subject with Putin. 1. New Strategic Arms Reduction Treaty (aka "New START"): Ratified by Obama in 2011, this has been one of America's more successful arms control treaties with an adversary. The agreement allows the U.S. and Russia to conduct thorough inspections to ensure the other is complying. Bottom line: By the deadline of February this year, both Russia and the U.S. had fulfilled their promise of deploying no more than 1,550 strategic offensive nuclear weapons and no more than 700 strategic nuclear delivery vehicles. What's next? The deal expires in 2021 and will need to be extended (for a max of five years) or amended into a new deal. Early last year, Trump, without knowing basic details about the treaty, called it a bad deal for America. But he hasn't said anything substantive, since, about his plans to change it. 2. The Intermediate Range Nuclear Forces Treaty (aka the INF Treaty): Ronald Reagan and Soviet leader Mikhail Gorbachev signed the INF Treaty in 1987, to ban the Cold War rivals from having ground-launched ballistic and cruise missiles that could fly between 500 and 5,500 kilometers. Bottom line: This treaty is in trouble. It remains in force today but in 2014 the Obama administration publicly said that Russia was violating the treaty. The Russians are still violating it today, despite multiple U.S. warnings. What's next? The Trump administration has taken some tougher actions against Russia over its INF violations, including beginning research and development of weapons that would — if ever developed — themselves violate the treaty. But nothing seems to work. Russia goes on violating and pretending it's doing nothing wrong. The administration has all but exhausted its remedies within the terms of the treaty, so they find themselves at a crossroads here with Russia. In an interview with "CBS Evening News" anchor Jeff Glor on Saturday, President Trump first named the European Union — a group of some of America's closest allies — when Glor asked him to name his "biggest foe globally right now." Why it matters: To call the EU a "foe" is a stunning statement, even for Trump, who has made no secret he regards Europeans as freeloaders who scam the U.S. on trade. British Prime Minister Theresa May tried to change Trump's mind on that point during his visit to London late last week. She was on a mission to vividly explain to Trump — using examples that would resonate with him — that Britain helps create, not destroy, American jobs. On Thursday, Trump will host a workforce development event at the White House, with business leaders, workers and cabinet secretaries. White House spokeswoman Lindsay Walters told me Trump will sign an Executive Order and the companies and associations will sign "A pledge to the American Worker" ... "to make significant new investments in reskilling their current and future workers." Between the lines: I have no idea, yet, to what extent these actions will be substantive or promotional/symbolic — because what you see above is all the detail I've been able to get out of the White House so far. Ivanka Trump and the Domestic Policy Council have led this initiative, in consultation with the private sector, government, and academia, according to Walters. Why the issue matters: The U.S. jobless rate is around the lowest it's been this century, but millions of jobs remain unfilled. It's partly because American workers lack the skills — many of them highly technical — needed to fill them. The House will pass another 2019 spending bill. This bill includes funding for the Department of the Interior, the Environmental Protection Agency (EPA), the Forest Service and other agencies. The House and Senate will be in conference to iron out their differences on next year's Defense Department budget. The Senate will confirm two more circuit court judges, bringing their total so far in the Trump administration to 24, a leadership source told me. The Senate could vote to go to conference this week to iron out differences with the House on the farm bill. Monday: Trump meets with Putin in Helsinki. Tuesday: Trump receives his intelligence briefing and has lunch with Vice President Pence. Wednesday: Trump hosts a cabinet meeting and has lunch with Secretary of State Mike Pompeo. Thursday: Trump receives his intelligence briefing, hosts a "Pledge to the American Worker" event and signs an Executive Order. Friday: Trump receives his intelligence briefing. Trump's hosts at Blenheim Palace on Thursday night were the owners of the estate — the Duke and Duchess of Marlborough. James Spencer-Churchill, the 12th Duke of Marlborough, is a colorful character. Among other incidents, his father tried to disinherit him after a string of misadventures including a high-profile road rage incident and a month in prison for forging drug prescriptions. He and the Duchess proved gracious hosts. But the Duke stumbled at moments during his remarks, according to a source at the dinner. At one point he apologized, blaming poor lighting. "We were thinking," the source told me, "it's your house!"